This market is permanently closed and no longer trading. 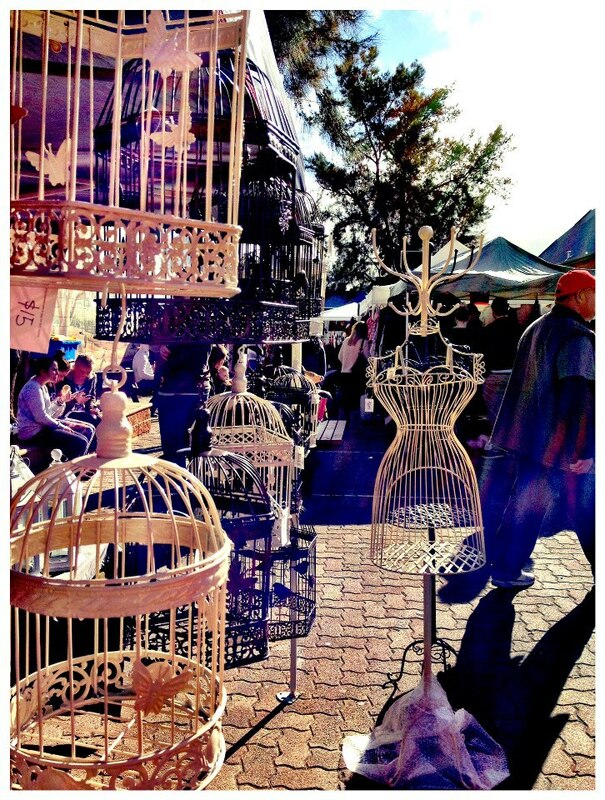 Whenever I have a spare sunny Sunday, I'll grab some money, best friend in tow and head down to the Gilles St Markets. Filled with an eclectic mix of brand new and vintage clothes, jewellery, shoes and not to mention some super cute keepsakes. It's about time Adelaide introduced a market that is cool, sophisticated and a little bit sweet. Whatever your style, you are sure to find something worth your while. Even if fashion isn't your thing, treat yourself to a delicious macaroon (to die for) or choose from an extensive range of pastries, cakes and yummy snacks. After checking out all the stalls, I especially love just grabbing a snack sitting on the grass and listening to the super cool beats that the DJ mixes. Gilles Street Markets offers a relaxed vibe and even if you don't buy anything window shopping never goes astray. And boys, don't be scared of the markets - they offer a pretty wide range of clothes, shoes and accessories for all of you too! I have a bit of a crush on random little knick-knacks for around the home. So, what really caught my eye this week, were the super cute range of birdcages starting at only $10 - you'd be crazy not too! So, if you have a spare Sunday grab some cash and head down, trust me you won't regret it. The markets are located at Gilles Street Primary School, 91 Gilles Street, Adelaide and are held every third Sunday in winter. Once sunny summer comes along, I look forward to seeing them a little more often! Where: Gilles Street Primary School, Gilles Street, Adelaide. Thanks for the inclusion of the market's website. Looooooooooooooove the bird cages and mannequin's dummy! Been meaning and meaning to go; but what with kids and always being exhausted on weekends and such... now one kid has seen and loved the bird cages - she wants to go too! Hooray!!! 7th October - I'm there.